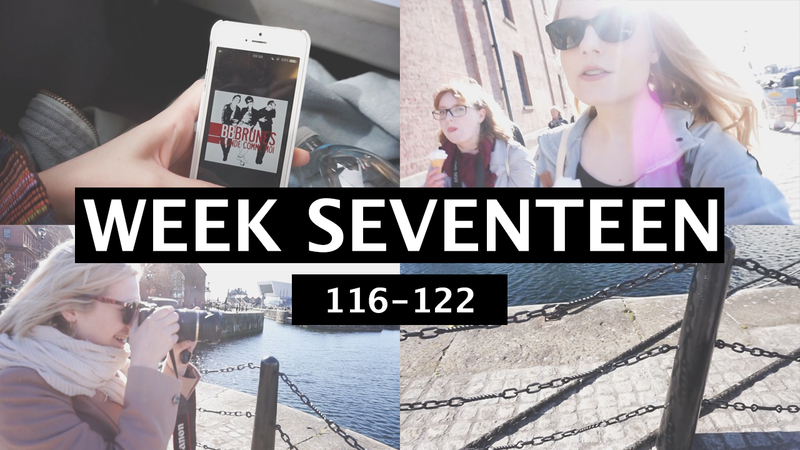 This weeks video is a up a little later than usual due to me feeling unwell. Oh the human body. So unreliable. Don’t we just love it. I had only one thing planned this week and that one thing was happening on Saturday so on the days leading up to it I did the bare minimum while also filming as little as possible so that even if I filmed too much the video wouldn’t end up being as long as they have been recently. Lets be honest, I have been filming way too much. No one wants to sit and watch a 40 minute video. Its okay, I don’t either. I don’t even proof watch them when they’re that long…. Okay so this week, what actually happened? On Monday I watched the new episode of Bobs Burgers and The Simpsons, got an Amazon delivery and ate a lot of pringles. I also accompanied my parents to Macro aka the home of bulk things and got some pringles and water and cola. Then when I got home I continued restoring my phone. On Thursday I had the dentist and after that I had to get my train tickets for Saturday from the train station and pick up a few items from a few shops at Fosse Park and when I got home I finally decided on an outfit for Saturday. If I hadn’t already told you I would have hoped that you would have figured out that this whole week was focused around Saturday. Look, when you have limited spoons you have to ration accordingly. Sometimes that means having terribly boring days/weeks leading up to one exciting/ fun day. Friday was a day filled with pringles eating and Lucifer watching. I still don’t really like that tv show but my mum recommended it to me so I feel like I should watch it. Later on I started editing the weekly vlog / procrastinating curling my hair. I found myself on Shanes channel at like 11pm watching videos just because I didn’t want to curl my hair. I did eventually curl my hair. Saturday was the day of #NWmeet 2.0 in Liverpool and I had to wake up at 5:30am in to be ready for my train at 7:40 😭😭 Curling my hair the night before really helped with time management. The journey to Liverpool wasn’t too bad, I experience travel sickness on a train for the first time. That was fun. I have lots to write about #NWmeet so I will probably be writing a separate post about it but for now lets just say that Katy did a great job and I had a really good time! Journey home was less fun. Sunday was.. well.. I watched the final episode of Lucifer Season 1 and spent a lot of time in bed with the dogs / planning my instagram photos. Overall I would say that this week was a success. Although I may not be feeling great right now- going to Liverpool by myself, to an event where I knew barely anyone and actually socialising at said event. Thats a pretty big success on the become more independent goal. Also the amount of pringles consumed this week was shameful.